Solution: Two cars A and B have a mass of 2 Mg and 1.5 Mg, respectively. Determine the magnitudes of v(A) and v(B) if the cars collide and stick together while moving with a common speed of 50 km/h in the direction shown. Two cars A and B have a mass of 2 Mg and 1.5 Mg, respectively. 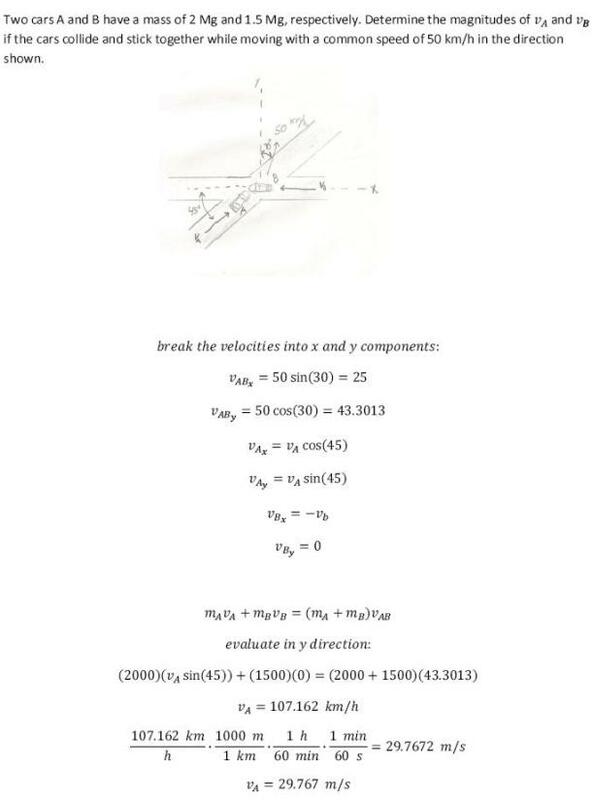 Determine the magnitudes of v(A) and v(B) if the cars collide and stick together while moving with a common speed of 50 km/h in the direction shown.